Brooke Jackson is a freelance writer, self-proclaimed foodie, and blogger recently living in Chattanooga, Tennessee. She received her degree from Auburn University where she studied accounting (and college football). After graduation, Brooke figured out that she favored letters to numbers and began the vegetarian recipe and lifestyle blog, Veggie Table. On her blog, she shares simple vegetarian meals that have been tested and approved by her meat-loving husband. When Brooke isn't busy in the kitchen, she can be found sipping coffee at the local cafe, strolling the river front trails with their dog, or photographing her adventures in the city and its mountainous backdrop. Brooke Jackson, Veggie Table New Complete Vegetarian by: Rose Elliot I've been a vegetarian for half of my life and had to get creative in the kitchen after marrying my husband. Cooking meatless meals for someone who enjoys a medium rare steak has its challenges. In order to keep peace at our dining table, I read recipes to learn more about different flavor combinations and cooking techniques. 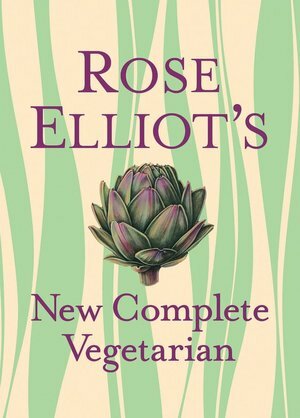 Rose Elliot's New Complete Vegetarian was given to me as a gift, and I'm currently drooling over its every page. With over sixty books under her belt, Rose is Britain's most influential vegetarian/vegan writer. Her ingredients and words are so engulfing you can actually smell the aromas of each course being prepared. This particular cook book contains hundreds of mouth-watering recipes covering a hostess' every need: sweet relishes and tangy salad dressings; veggie infused pastas and rice; made-from-scratch tarts and cheesy quiches; and delectable desserts. Rose's ingredient lists are short and simple which works well for both the intimidated beginner cook or the expert chef. Whether you follow a recipe step-by-step or put your own unique spin on it, this book is the perfect cooking companion. 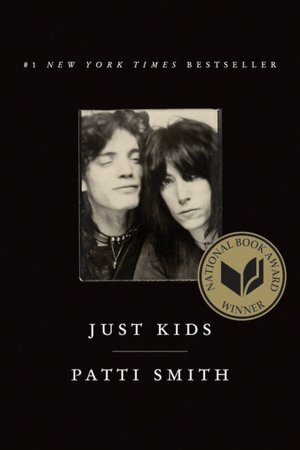 Holly Roberts, Alabama-based Singer/Song Writer Just Kids by: Patti Smith Just Kids is a memoir written by Patti Smith, the “Godmother of Punk.” I could try to summarize this book, but there is so much happening that I can't put my finger on one specific premise. It's an ode to art and music, personal expression and exploration, and companionship and love. Smith moved to New York City during the summer of 1967. It was at the end of a few artistic eras such as the Beat Generation and the Warhol Factory Years, so Smith found herself riding on the coattails of many fascinating artists. Searching for her own masterpiece, she made a vow that her life would be dedicated to creating and sharing her work. On that very night, Robert Mapplethorpe, who is now an iconic photographer, made the same promise to give himself to his art. Later on, while Smith was working at Brentano’s Books on Fifth Avenue, the two crossed paths and quickly became each other’s artistic guide and muse. They searched together while creating, painting, filming, writing, and capturing life. Smith and Mapplethorpe were young artists or "just kids" on the verge of both breakdown and breakthrough. They experimented their way through the late 60's and lived on the forefront of their wildest dreams. During her time at the Hotel Chelsea, Patti also met some of my favorites such as Jimi Hendrix, Bob Dylan, Allen Ginsburg, and Andy Warhol. NYC has always been a melting pot of sensations with a variety of people who have big dreams and enduring stamina. Smith's descriptions are so poetically vivid that I found myself channeling her words as if they were my memories she recanted, constantly dropping the book to close my eyes and breathe. Hooray for empathy! Pick up this book, please! Elizabeth Jackson, Environmental Management Consultant Thin Air: Encounters in the Himalayas by: Greg Child A few months ago, I read the story of Jon Krakauer's experience on one of Mount Everest's most fatal seasons and have been semi-obsessed with Himalayan adventures ever since. I love every aspect of it: the physical challenges the human body endures to climb these peaks; the devotion and sometimes detrimental commitment of mountaineers to reach the highest places on Earth; and the emotional and mental battles that altitude, stress and ego add to the journey. After listening to me share stories of the Himalayas as though I was part of the trek myself, a friend gave Thin Air to me. 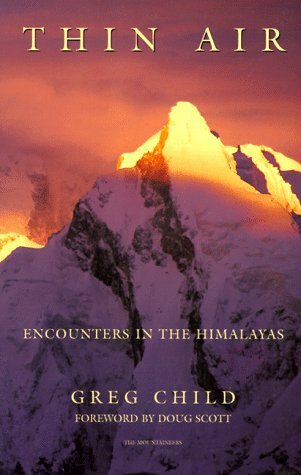 The book sweeps you away into a range of breath-taking mountains while sharing some of the most riveting stories of Himalayan treks. One feels the roller coaster of excitement, the heartache from the innate barriers of being in politically delicate regions of the world to fulfill their dreams, the language struggles existing in crucial relationships, the undefinable joy of reaching their goals, and the bonding and loss of friends. I highly recommend this read for those who are seeking an adventure in life. 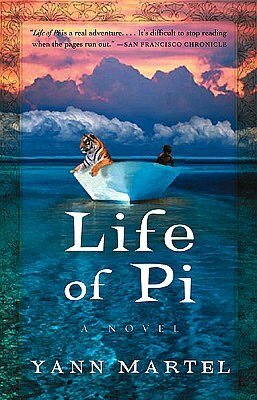 Erica Peppers, Caught On A Whim Life of Pi by: Yann Martel This is the story of a boy named Pi, who leaves India with his family to find a new life in Canada. While at sea, tragedy strikes and the unthinkable happens: Pi is the lone human survivor of a shipwreck and is stranded aboard a small lifeboat with an unusual assortment of companions. His only companions consist of a hyena, zebra, orangutan and Bengal tiger. Pi's courage and determination are tested as he must learn to survive on his own in the vast ocean while keeping the distraught wild animals at bay. Pi's story is one of hope, courage and self-preservation in the most unnatural of circumstances. Natalie Waits Martin, English Teacher in Spain Killing Lincoln< by: Bill O'Reilly & Martin Dugard This summer I brushed up on my American history by reading Killing Lincoln. I´m sure that sounds like a dreaded 11th grade required reading assignment, but I promise this book is not what you think. There will be no exam afterwards and, unlike me, you probably won´t be asked to write a synopsis of what you´ve read. Yes, it is the true story of the Lincoln assassination in 1865, but it's also a thriller told from the perspective of both the assassin and the victim. As we all know, John Wilkes Booth was the man who shot the President. But what else do you know about him? This book takes you inside his world and details his thoughts, relationships and movements, especially in the days leading up to the murder and the days immediately following. Lincoln, on the other hand, becomes a character that you wish didn´t have to die as you are also taken away from John Wilkes Booth and into the White House to witness his conversations and fears in the days leading up to his fateful trip to the Ford theater. I found myself hoping that history would somehow rewrite itself and only wish more historic events were written this way.